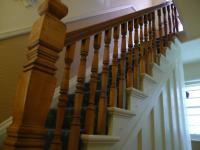 These where machined as an exact replica for existing spindles, to reduce the original spacings. They are made from sycamore stained and polished to match. 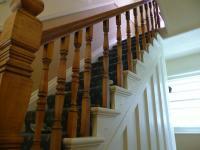 The square machined spindles are no longer available and had to be made with a combination of turning and routing.